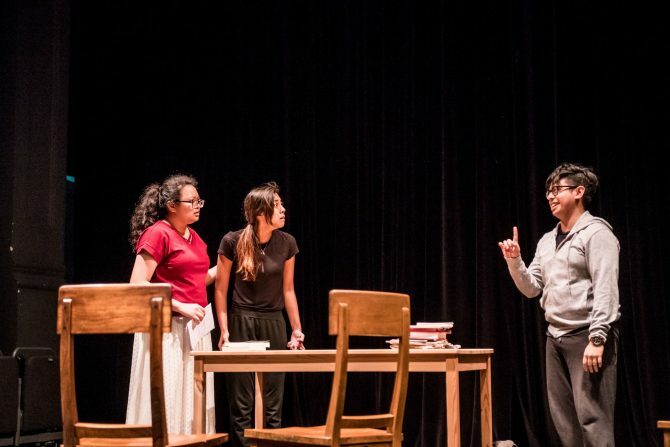 How do you make a play about Malay identity in Singapore? Performing Malay Sketches, a production by local theatre group The Second Breakfast Company, attempts two such plays in one production. The characters are actors and crew members rehearsing for a play adapted from Malay Sketches, a collection of short stories by Alfian Sa’at that takes us into the lives of the Malay community in Singapore. 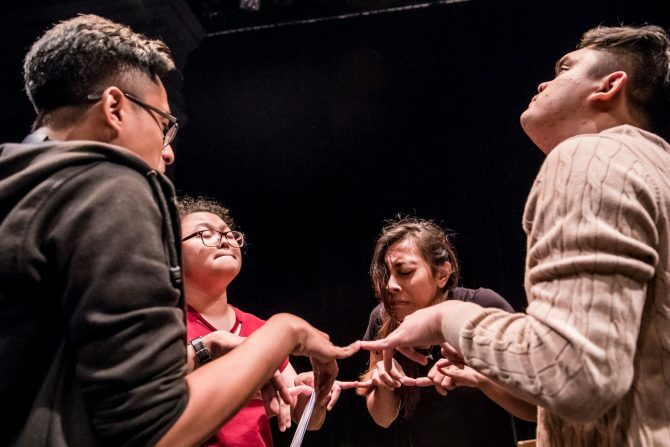 In their struggle to put on the play they had envisioned, the larger play of Performing Malay Sketches deftly navigates the many layers of being Malay in Singapore. In the play within the play, our actor-characters are creating a narrative through their play that goes beyond that of what’s written in their source material. 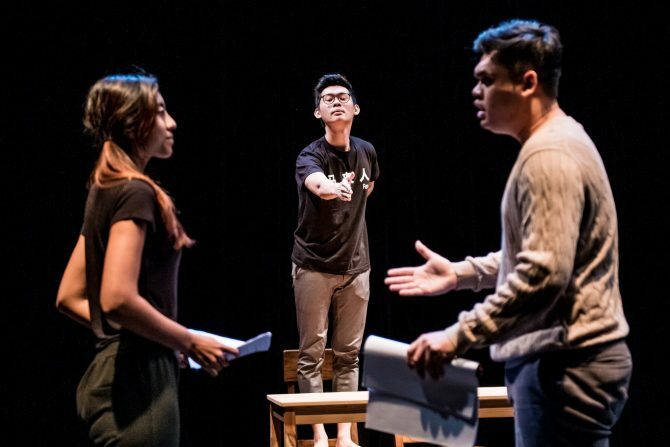 Through their play, they wish to rewrite the narrative of the Malay person in Singapore social culture, the Malay person who’s often reduced to stereotypes and even the laughing stock on screen or stage. The director-character, Ijah (played by Sofihah Sha’har), took on the production with the firm vision that it must have an all-Malay cast, and the proud anticipation that it will give Malay audiences a play that they can see themselves reflected in. This call for authentic representation of minorities in the media is a very timely response to the ups and downs in Hollywood’s journey towards greater diversity. We had to endure a whole slew of Hollywood movies that white-washed Asian-American roles, from Aloha to Ghost In The Shell, before Black Panther put people of colour on top with its predominantly black cast and crew. Performing Malay Sketches, fully aware of its time and place in the developments of representation in media, directly references Black Panther‘s cultural legacy within the first few minutes of the play. What the characters do not mention, though, is the more recent controversy of the Crazy Rich Asians movie, whose proudly “all-Asian cast” failed to include the non-Chinese in Singapore where it was shot. Nevertheless, while the Crazy Rich Asians movie may have been left as the elephant in the room, the longtime sidelining of Singapore minorities by the Chinese was certainly not. 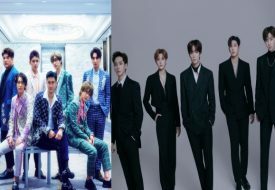 The characters’ vision of staging Malay Sketches with an all-Malay cast is suddenly threatened when one of their actors walks out, and the producer claims that the only actor he can find at such short notice is Chinese. The tension, arising from the idea of yet another Chinese person taking up an opportunity for a Malay person to shine, is palpable. As a Chinese audience member, I personally felt uncomfortable to see and hear the Malay characters argue about the injustice of the situation. And even more so when the Chinese character arrives and makes a few ignorant remarks about race. If you look closely at the photo above, you might be able to make out the words “马来人” (Mandarin for “a Malay person”). A couple of times, particularly when the characters speak to one another in Bahasa Melayu that I did not understand, I was asking myself if I even had a right to sit in the room as an audience of the play. It’s a discomfort that is humbling and necessary, forcing me to confront my Chinese privilege and feelings of being marginalised for Malay Singaporeans in ways that I never did, or even avoided. Performing Malay Sketches flips the script – literally and figuratively – on racial stereotypes by mocking the one Chinese character, giving the Chinese members in the audience a little taste of what it feels like for Malay audiences to see a Malay person made the joke of a predominantly Chinese show. 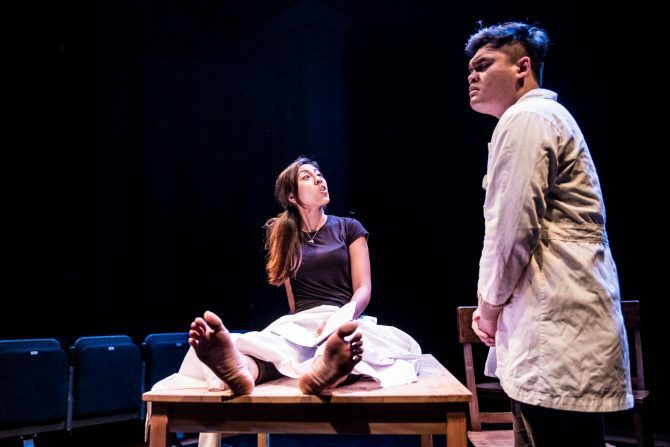 Through the play-within-a-play conceit, in which actors playing actors playing characters, Performing Malay Sketches raises many thought-provoking questions about how one performs the Malay identity. Based on stereotypes? Can a Malay person by portrayed by a Chinese? Or should we interpret the Malay person as just a person who just happens to be Malay? This debate of universal vs. culturally specific representation also becomes a threat to Ijah’s vision of the play being for the Malays. As the actors perform actors who slip into multiple different characters, even crossing genders, the Malay body comes into question, too. In all the fluid shifts between identities, Performing Malay Sketches powerfully demonstrates that every Malay individual contains multitudes of possibilities in their identity, and it may even include stereotypes. Though we wouldn’t question its presence, the tensions over the race casting could have been better executed. Much of it was delivered through the male characters repeatedly banging loudly on tables and flinging objects, which felt a little too forced and awkward. At the same time, Performing Malay Sketches also has lots of wacky humour that made the audience laugh out loud. Nisa Syarafana grabbed our attention with her excellent comedic timing as she shifts between the meek Mas and the more assertive characters that Mas plays. The tight directing and script also contribute to the almost seamless flow between the layers of the conceit, and much credit goes to Adeeb Fazah, who directed, co-wrote, and stars in two roles in the production. Unfortunately, the remaining show of Performing Malay Sketches at Textures 2019 is now sold out. Given the great demand and interest in the production, we have little doubt there will be a rerun in the future. 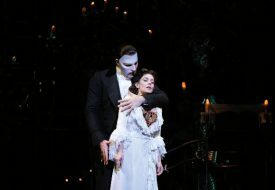 And when it does, do not miss the chance to see it! In addition to Performing Malay Sketches, another play, The Page on Stage – Samping, is also happening at Textures 2019. Its shows on 10 March, 3pm and 7pm, are still available. Get your tickets here. Check out other programs at the festival here.